On Thursday, April 18th from 7:00 pm, there will be a Seder Meal and then a Tenebrae Service at FUMC Fremont. Please join us for this powerful evening service during which we remember Jesus’s last meal and foot washing with his friends in the Upper Room. 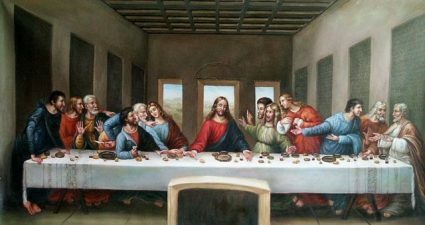 Maundy Thursday– Holy Thursday before Easter. The “Mandatum” ceremony celebrates Jesus’ washing of the feet of his disciples. Seder Meal– A ritual meal celebrating the first day of the Passover. Historical Seder customs include telling the Passover story, discussing the story, drinking four cups of wine, eating matza, partaking of symbolic foods placed on the Passover Seder Plate, and reclining in celebration of freedom of the Jews from Egypt.